We are a dedicated professional team that is focused on providing services with a beneficial mutual solution. We strive to partner with each one of our clients so they are part of the decision making process. We pride ourselves on quality customer service, timely completion of our work and unsurpassed professionalism. Our superior installation and workmanship will be completed by trained professionals and backed by a full manufacturer’s warranty, that only comes with Certified Roofing Companies, we are proudly Certified Installers with GAF, CertainTeed and Versico. Please check out our Awards & Certifications as well as our Image Gallery. Our friendly team of professionals is the secret to our success. We will provide each client with a free estimate, no obligation and always competitive pricing. 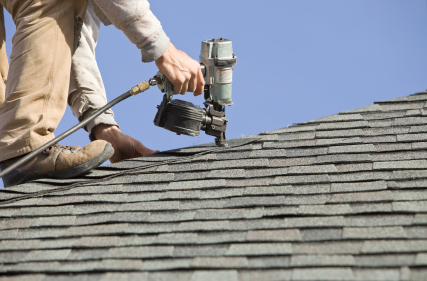 We install every roofing system according to the manufacturer’s specifications as well as local and state building codes. A Project Manager will be present at every job, to ensure each project goes as planned. We offer quality installation and professional craftsmanship, providing peace of mind to each customer, always providing top of the line building products. “It went so well that I can hardly believe it. The men picked up every bit of debris, the old tar paper and shingles and had done the new roof in one day. They laid tarps on my flower beds and driveway. My roof looked a little bit bedraggled, but that is why we waited for late fall to do the job. The price was in line with other estimates. My son found JMontes on Angie’s List. It was nice to be free of other companies calling and coming by to bug me.” – Susan G.